~Eternal Snow~: Vocaloid Spotlight: Hatsune Miku Series 5. 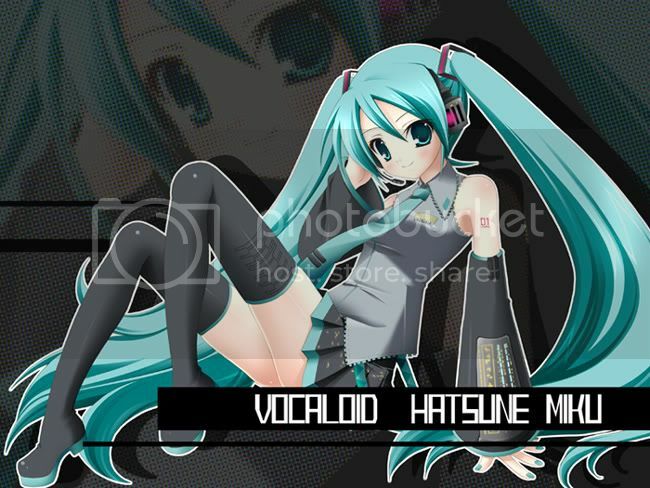 Once again it's more Vocaloid songs!!! And as always Miku is hogging the airwaves (and my playlist) with her songs. Without further delay, let's head straight to the songs! Hatsune Miku - Cinderella Romance by Tatsh. Note: The video may say it's 11mins, but it's actually only 1.53min, assuming the error is due to the type of file format as this is a higher quality video. I can't seem to add the &fmt=18 into the embed file coding properly (for another video), and ends up it keeps playing the lower quality instead. But if you don't mind low quality, just go through this link. (Might save bandwidth?) Low Quality Version. This song + PV is way too cute!! I love how they used a classic song (can't remember the name lol) in the entry and exit of the song. And it's really sweet and refreshing to see our lovely Miku in a beautiful wedding-pausible dress (MARRY ME PLEASE!). I'm still trying to find the pictures used in that video!! And for those who might have found the art familiar, it's because the art is done by Bunbukudou. I'm actually hoping that this is not the complete version of the song, being short at only 1.53min, and that they intend to do a longer version of it. Maybe will be released in the CD they're selling next month at Comiket74. 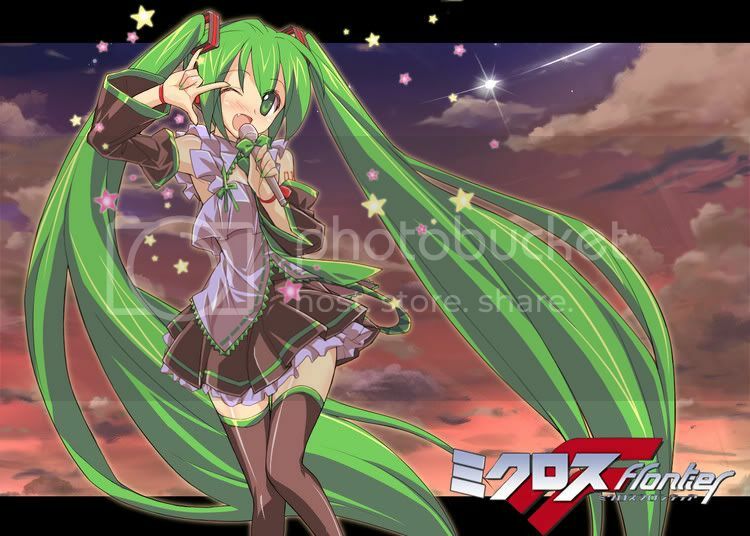 Found an Illustration of Miku by Bunbukudou, but not the dress type that I'm looking for. Hatsune Miku - Heaven's dooR by momiji1225さん (from PIAPRO). Mp3 can be found here (you'll need an account if not wrong). Or you can use this link. A nice relaxing slow-paced song to calm the mind, after all the nosebleeds and craziness gained (screaming moe~ non-stop) while listening to the previous song. Love the entrance of the chorus part ^^. Riding along the waves of our Superdimensional Cinderella Ranka (MOE~!! ), someone decided to give that treatment to Miku, and this song just hit the top of the charts (Vocaloid Ranking) this week. And since the picture I'm using at the top is of the trademark pose, I just had to put this song in here. Truthfully though, I still prefer the original Ranka's version ^^, but it's still quite a nice rework. Anyway, I still have quite a few other vocaloid songs on queuing status to post, but I'll leave them for later. DECULTURE!!! and out.